November 30, 2018 in the Fundamental Library of the Moscow State University the international conference “Third University Mission” was held. 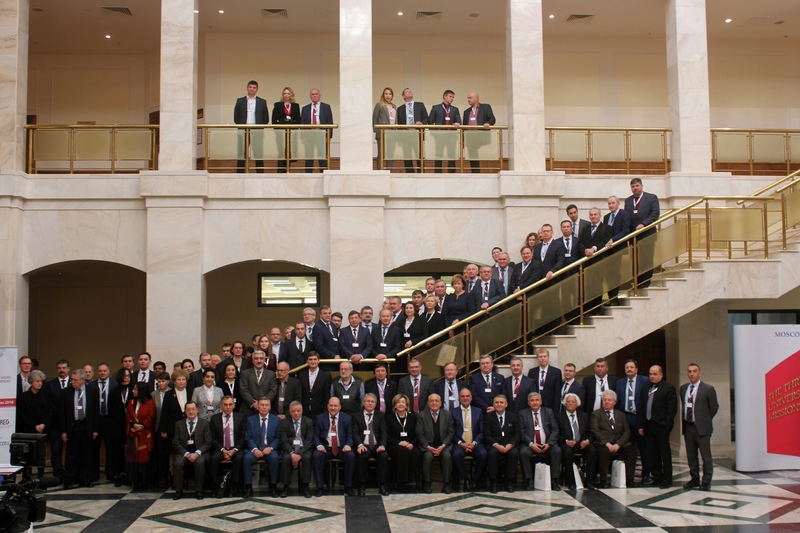 Foreign and domestic experts and rectors of leading Russian universities participated in the plenary session and discussions. Various ratings pay more and more attention to the analysis and evaluation of the relationship between the university and the society. At the moment this assessment is most fully presented in the Russian rating of the “Third University Mission”. The head of the Federal Education and Science Supervision Agency, Sergey Kravtsov, accented that the “Third University Mission” rating is a product of the discussion of the Russian Union of Rectors, and that the agency plans to use the results of the rating in the system of accreditation, state control and supervision. “The rating is a system of support and decision-making, ” – noted Marina Borovskaya, Deputy Minister of Science and Higher Education of the Russian Federation. “It is a method of placing accents, an aid for managing the university and the education system as a whole." The president of the international association IREG Observatory, Luis Costa, pointed out that any assessment system makes sense if it helps to improve the quality of education, helps the university to become better; and that the Russian Union of Rectors has done a lot of important work on creating the “Third University Mission” rating.